I cannot listen one more second to the alleged defense expert, Alyce LaViolette. I would hope that a true "expert" (as in a PhD or MD, please) with more than a master's degree would analyze the psychological behavior and brutal murder of this man. The "big picture" as Ms. LaViolette keeps referring to that she professionally focuses on and has captured......only one perspective. The Jodie Arias perception. Her professional analysis has been based simply upon this defense witness's visits in jail for 44 hours. She also read the voluminous amount of written and other material between Mr. Alexander and Ms. Arias. She didn't, because of her own rules, interview anyone to investigate that Mr. Alexander wrote. She has based her narrow professional decision on two things: the verbal story according to the murderer, Jodie Arias, and the written/audio evidence in the case. She is not even aware of some of the things that we have all watched in testimony by other witnesses. I am angry that she was paid for this charade. 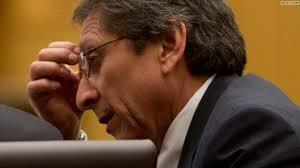 Juan Martinez (see photo above), the prosecuting attorney in Arizona, is a shining example of someone who takes their job seriously and devotedly, but not necessarily personally (unlike the supposed defense experts). And given his job, in this case, someone with balls to try this crazy admitted-murdering monster, deserves an hourly rate far beyond this defense expert witnesses. I think all of the hours that both of the last "expert defense witnesses" should be retrieved from them and given to Mr. Martinez and the defense attorney's. I am not a proponent for capital punishment. Since the defendant in this case admitted (after several years of lying) that she killed Mr. Alexander, the victim who Mr. Martinez is valiantly representing, this isn't really much of a who-done-it trial. I just hope that this jury doesn't have some sympathy toward this woman who stabbed her boyfriend, Mr. Alexander, 29 times, almost cut off his head and then shot him in the head. That is a savageness and rage that indicates that the defendant has extreme psychological problems. The fact that she has told so many lies is yet again another indication of her very savage, psychotic nature. And now, she has allowed her defense to paint Mr. Alexander as the monster. It seems to add insult to inure, pardon the very bad pun (albeit relevant). I have been riveted with this entire trial, I am embarrassed to say. I think, as fierce as he's been, the case prosecute Juan Martinez, has shown what excellence and commitment to performing one's job the best you can, is really admirable and I am inspired. gravitas, then maybe you could buy into their expertise (which they are earning at $200-$300 an hour). But back to capital punishment....in my opinion, if anyone deserved a death sentence, it is this person who killed Travis Alexander. Unfortunately, I can't logically find a comfortable place where a society/civilization says ending another person's life against their wishes is the worst criminal act and therefore punishable in a other death. We must evolve as a species to a more sophisticated, educated place. If we can't, we'll still be having wars in the middle east and Muslims, Jews, Christians, etc fighting each other 2000 years from now. It's pathetic now. But how much more pathetic would it be then? As much as I think that Travis Alexander's confessed-killer, the self-defendant in this case, should have her head chopped off. And yet, I hope that doesn't happen. Give her a life sentence. IF that jury lets her off with anything less than that punishment, considering the brutality of Mr. Alexander's murder and what we now know about how deranged the defendant is, then it will truly be a travesty of justice. But more than that, it will be one more example of how we simply can't move beyond our barbarian ancestry. I feel horrible for Travis Alexander's family who have bravely been at this trail daily, watching him portrayed as a monster by the monster who hacked him up. The only monster is the defendant. Not only did she hideously, barbarically murder their loved one but she continues to do so metaphorically in the courtroom. All so that she doesn't receive the death sentence? That seems like further evidence of her psychopathy/sociapathy. It is admirable that Mr. Alexander's family continue to be in the court daily despite this salacious and slanderous trail. His family really have now been twice assaulted by this insane woman. 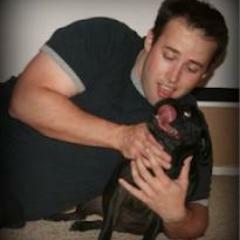 Rest in peace, Travis Alexander. And I hope his family will in ten years not have to suffer this nightmare that is going on day by day. And to the admitted killer who is on trial. I don't know what happened to you in your life that brought you to this psychopathy and consequence. Do you? Jodi is baiting Travis's family, allegedly, by drawing pics w/ her likeness. It's uncanny. She is also selling her paintings online and sending tweets through her friends. She will haunt this family, from jail, forever. Her time here is over and Travis's family needs her gone, completely. Cindy, thanks for the message. I agree with you completely. I cannot wait for this trial to end and that she must finally atone for what she did. I did hear that she was drawing pics of the sister......simply illustrates how much of a schizophrenic, pathological, sociopathic monster that she is. I can't imagine how this jury could not find her guilty of first degree murder.